The glycemic index -- or GI -- is a scale that ranks foods depending on how they affect your blood sugar. Pure glucose, which raises your blood sugar quickly, has a glycemic index score of 100. So if you're aiming to manage your blood sugar levels, you'll want to stay away from foods that have a high GI score. Foods low on the glycemic index that have a classification of 55 or less help you stabilize your blood sugar. You probably already know that you need to stay far away from processed white grain foods. But not all starches are off the table if you have diabetes. Corn tortillas have a glycemic index of 52, while whole-wheat tortillas are typically around 30 on the scale. 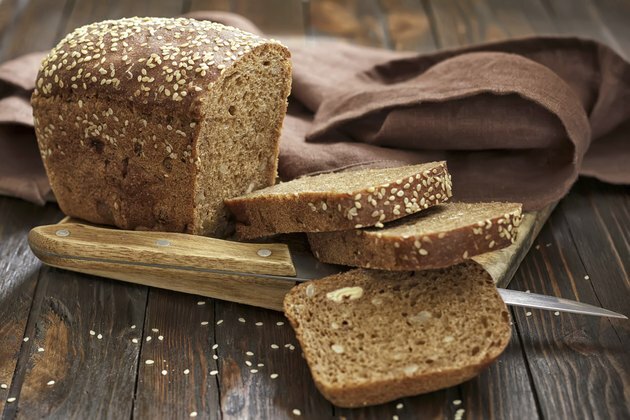 If you must have that slice of toast, opt for bread made with coarse barley, containing 75 to 80 percent kernels. This type of bread falls at 34 on the GI. You can even have oatmeal, although you should opt for unsweetened rolled oats. Regular oats have a score of 55, whereas instant oatmeal has a glycemic index as high as 83. Quinoa is at 53, converted or parboiled rice boasts a GI of 38, beans and lentils offer a rating of 28 to 40, while whole-wheat noodles have a standing of 37 on the scale. Ideally, you should always have fresh fruits for the lowest GI choices, but some dried fruits and 100-percent fruit juices are also on the low end of the range. On average, an apple is at 39, a grapefruit has a glycemic index of 25, an orange has a score of 40 and a pear rates at 38. If you must have dried fruit or juices, opt for unsweetened varieties. 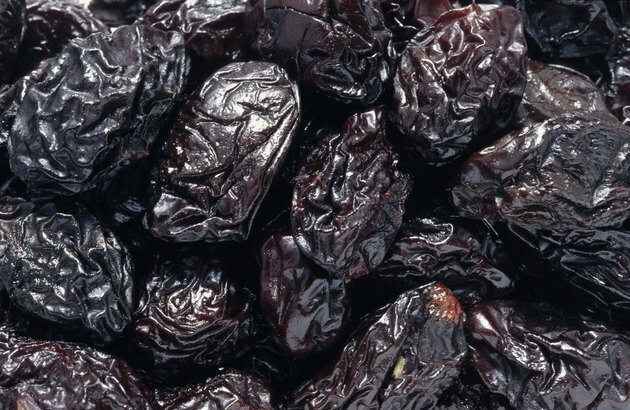 Dates boast a ranking of 42 and prunes fall at 29. Unsweetened orange juice is at 50 on the glycemic index, unsweetened apple juice has a standing of 44 and tomato juice ranks at 38. 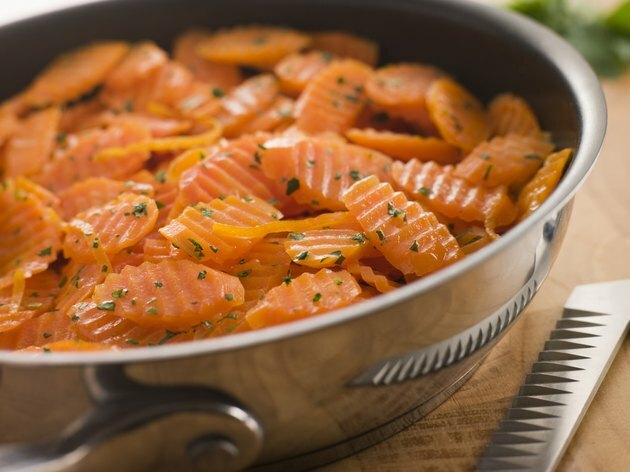 With the big exception of white potatoes, the majority of veggies are low on the glycemic index. Carrots have a low grade of 35. Yams, parsnips, corn and green peas all have a GI placement of 50 to 55. Spinach, asparagus, beets, snap peas, green beans, onions, peppers and lettuce are all nonstarchy vegetables that have a low glycemic index rating under 55. If you're a milk drinker, select reduced fat or nonfat varieties. While whole milk is still low on the scale -- 41 to be exact -- it's full of saturated fat that can up your risk of heart disease, which is prevalent among diabetics. Reduced-fat milk boasts a rating of 33 and skim milk falls at 32. 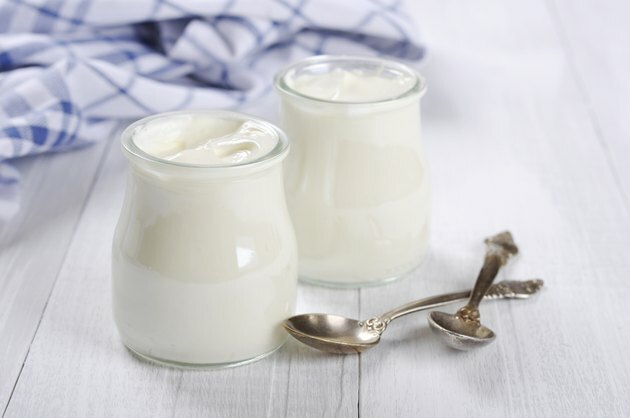 Plain Greek yogurt is at 12 on the glycemic index, which goes up to 36 if you drizzle on honey for sweetness. Plain regular yogurt falls between 29 and 37 on the scale.